When it comes to booking a hotel room, there are many options out there. But how can consumers be sure that they are getting the best deals out there? 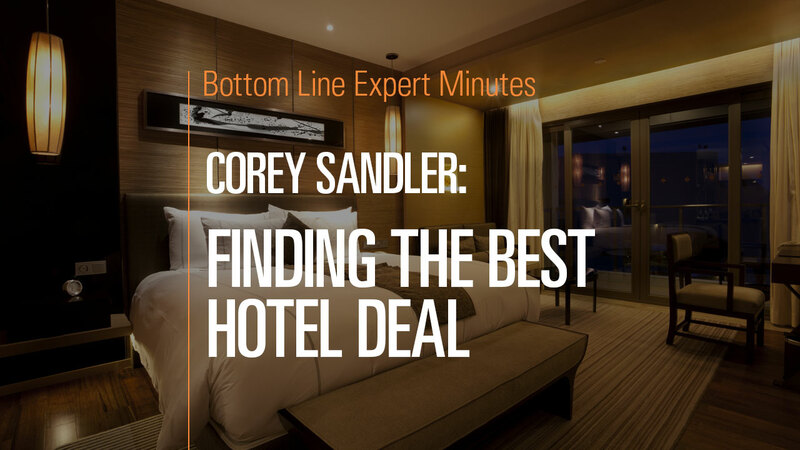 In this video, Corey Sandler, consumer expert and author of Bottom Line’s Secrets of the Savvy Consumer, discusses how he gets the best deals on hotel rooms. The first thing he does is visit an aggregator website (such as Orbitz, Travelocity or Hotels.com) which compares room options across a variety of locations. Then he visits the websites of the hotels he is most interested in and compares these options to those he previously discovered. Often, hotel websites may offer a variety of discounts that are lacking on the aggregator sites. Finally, many hotels keep rooms off of websites for discretionary booking and may offer additional discounts, so it’s worth calling the hotel directly and asking about this possibility.